NEWPORT BEACH — West Marine, the world’s largest specialty retailer of boating supplies and accessories, is seeking marine-based charities in Newport Beach to benefit at the grand opening of its new flagship store at Via Lido Plaza. The store is the second largest West Marine store in Southern California. 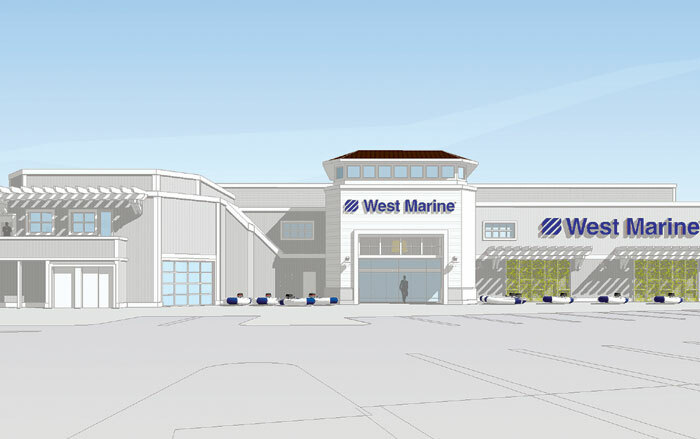 The new West Marine store at 3433 Via Lido in Newport Beach is scheduled to open Oct. 4-6. On the eve of the grand opening celebration, Oct. 3, West Marine will host a “Cruising for a Cause” charity event with appetizers provided by Suzanne’s Catering, beverages, live music and a live auction. Newport Beach marine-based nonprofit organizations have the opportunity to be beneficiaries of the charity celebration, which is aligned with West Marine’s mission to help conserve marine habitats and support local boating nonprofits across the country. Five to 10 marine-related nonprofit organizations will have the opportunity to raise money for their organization during the ‘Cruising for a Cause” event. Charities can submit an email to grantsandsponsorships@westmarine.com to learn how to get involved. Once the approved charities are given the “go ahead,” the nonprofits will sell tickets to the “Cruising for a Cause” night and keep the money for every ticket sold. West Marine will equally divide funds raised from tickets sold at the door and money from raffles held during the event among all participating nonprofits. The new West Marine store will be located in the renovated 27,000 square-foot building that was once occupied by a Pavilions supermarket. Improvements include enhancement to the exterior façade to include a coastal and nautical style, new wood siding, wood shingles and wood trellises; two new tower features that will accentuate the entrance, parking lot improvements with decorative paving and an outdoor boat display area. For a $10 ticket, “Cruising for a Cause” attendees will receive food, beverages and entertainment, along with a variety of special attractions and events. For more information, email grantsandsponsorships@westmarine.com.